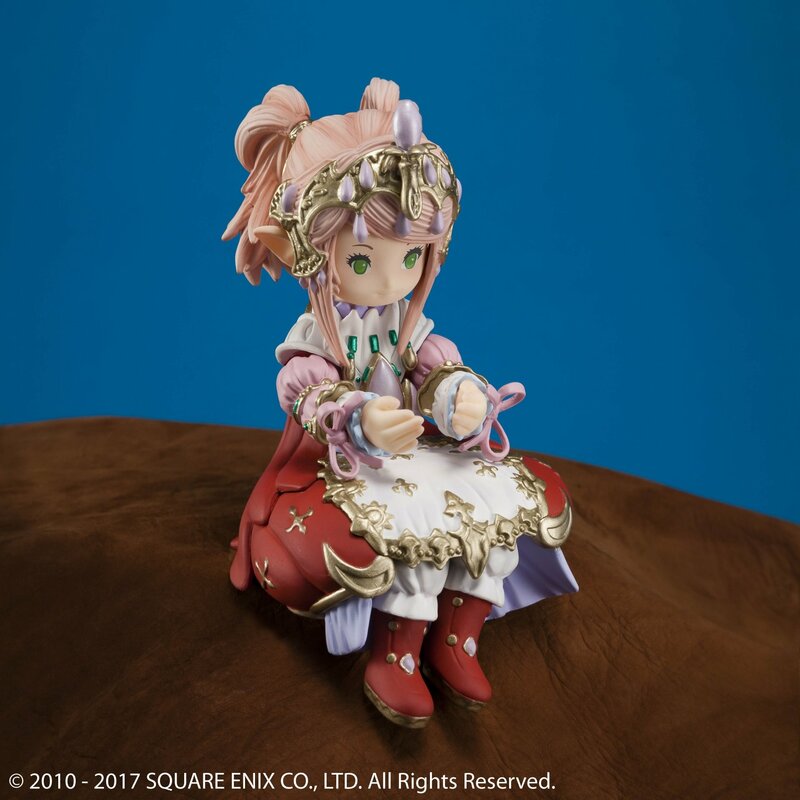 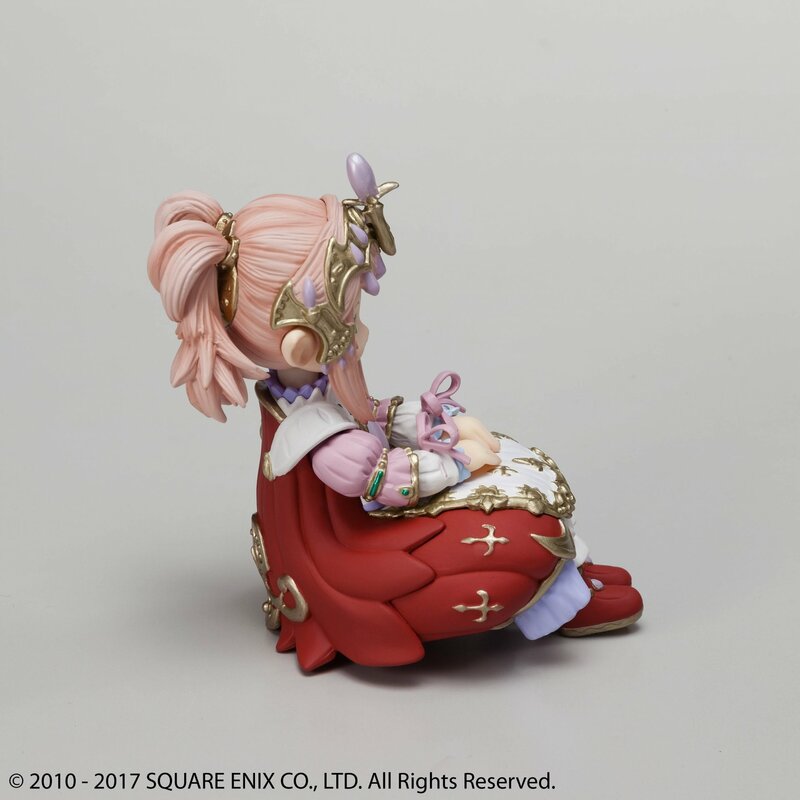 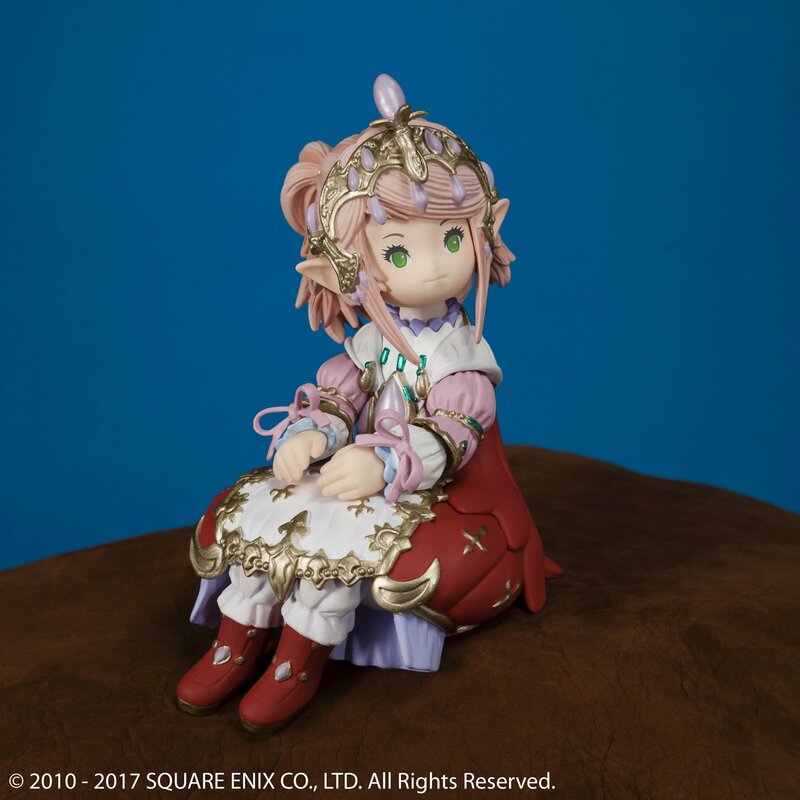 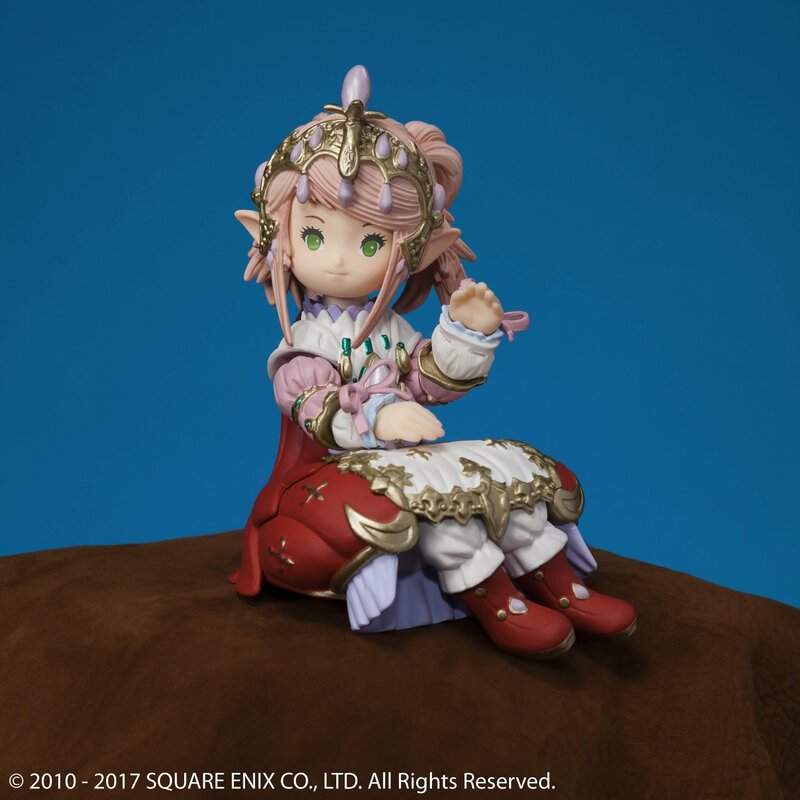 Nanamo Ul Namo, Sultana of Ul’dah, makes her debut as a seated figurine. 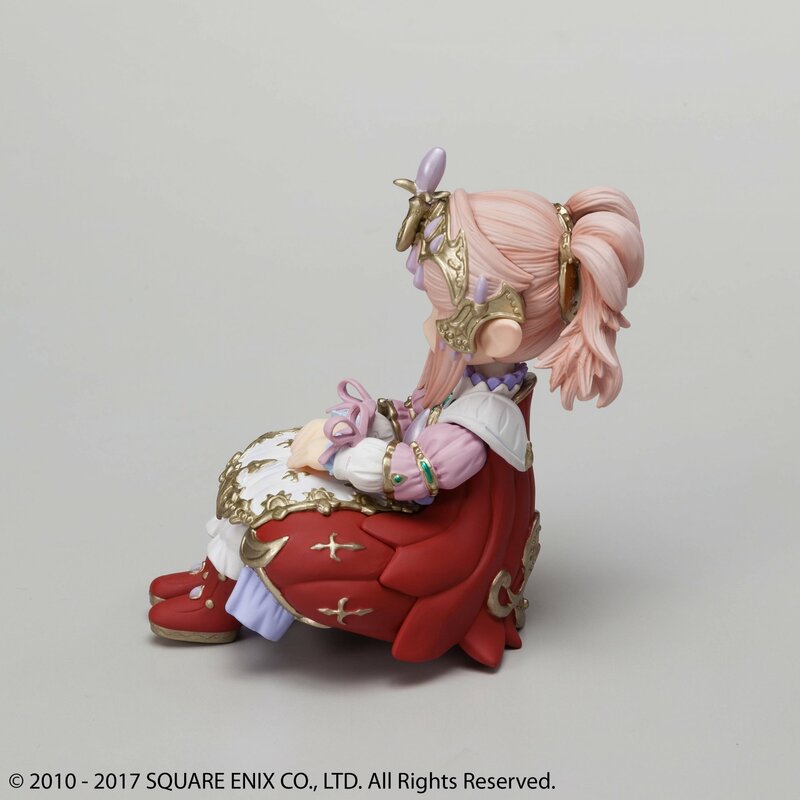 Her face, arms, and legs can be adjusted for subtle posing. 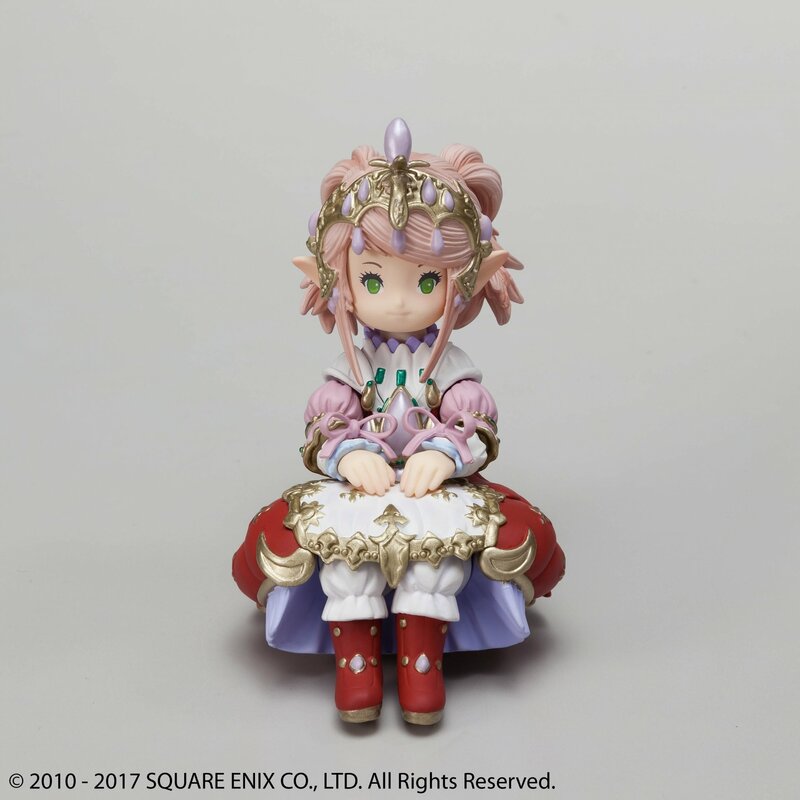 At 85mm in height, she can be placed on your desk or bookshelf, or wherever your adventures may take you. 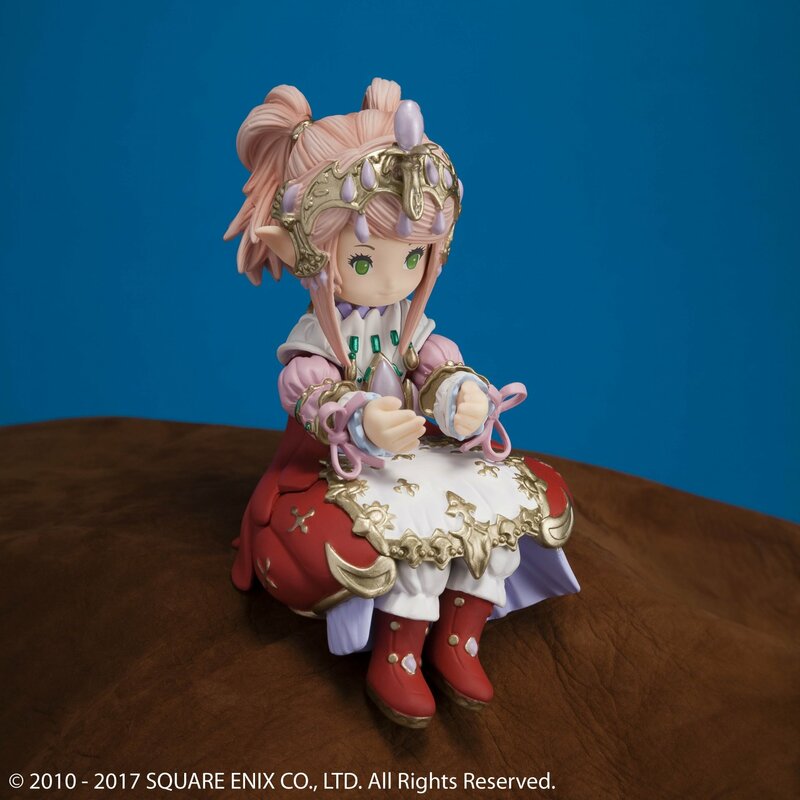 Product Size (inches): Approx. 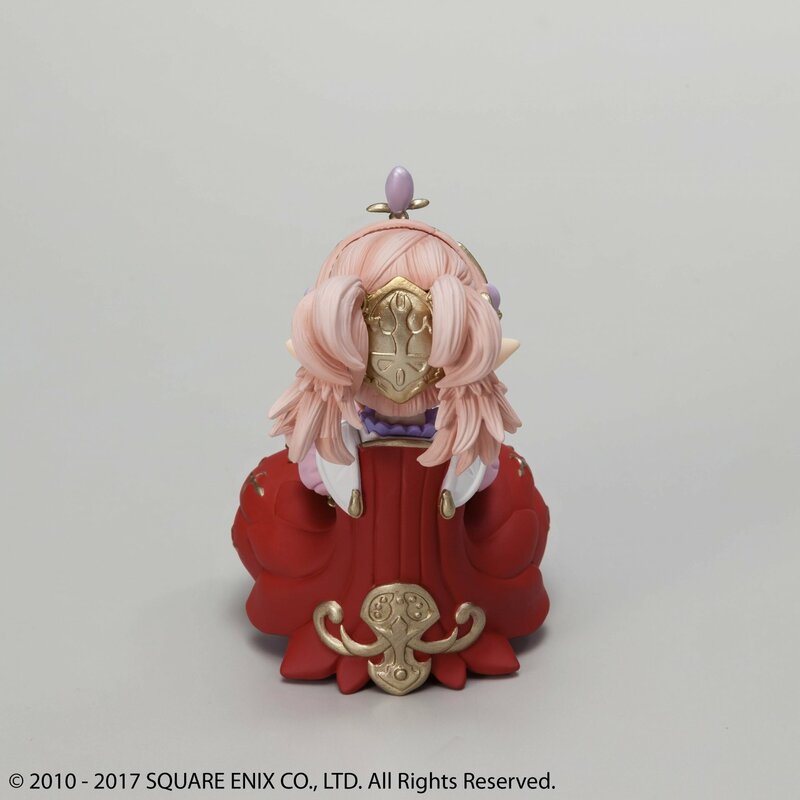 W2" x D3" x H3.35"